Icons come and icons go. Coca Cola survives, but Woolworth’s, the standard of the early 20th century, is now history. What’s popular today may not make the cut to the next generation – few kids today play with Cabbage Patch Dolls, despite the frenzied battles people had over them in the 1980’s, and all those people who sank thousands of dollars into Beanie Babies as investments now have … boxes of worthless stuffed toys. Winnie the Pooh is one of those who made the grade. A.A. Milne (Alan Alexander) wrote first a book of children’s poems (When We Were Very Young), then a Christmas story, and finally, in 1926, a book of stories, Winnie the Pooh, based on his son Christopher Robin and his stuffed bear Edward. A sequel, The House at Pooh Corner, followed in 1928, as well as two books of poems. Filled with charming innocence after the bloodbath of World War I, bumbling, slow-witted but kind-hearted Pooh and his friends (Tigger, Eeyore, Piglet, and Kanga and Roo) hit a needy spot in a dejected population. By 1931, Winnie the Pooh was a $50-million business, the dream-deal of every author (and that was in the middle of a depression!). Although Milne died of a stroke in 1956, Pooh continued to expand when the film rights, among others, were sold to Disney in 1961, and the first animated cartoon released in 1966, with Sterling Holloway’s voice becoming the standard for Pooh. Today, the marketing of Winnie the Pooh is worth as much as $6 billion dollars a year, the third most valuable franchise in the world, after Star Wars and Disney Princesses (both, not surprisingly, also Disney franchises, a company with more than 92 billion dollars in assets). Within the last year, another expansion on the franchise has brought out two marvelous films not necessarily aimed at children but adults who once were children: Goodbye Christopher Robin, and Christopher Robin. Goodbye Christopher Robin is a lovely, sweet story of Milne and his relationship to his son, and how the success of Winnie the Pooh destroyed the childhood of Christopher Robin himself. Pushed into the judgmental spotlight too young, Christopher Robin was beaten up in school because of his fame, and grew to resent his father, whom he described as very bad with children. Although eventually he reconciled with Winnie the Pooh, he never really reconciled with his parents; even on her death bed, his mother refused to see him. Goodbye Christopher Robin is a British production filled with beautiful settings and a superb performance by eight-year-old Will Tilston; it was released on DVD in January. On August 3, Disney launched their Christopher Robin film (does someone leak news between studios? This type of inter-studio film wars has happened numerous times, most recently with Mirror, Mirror and Snow White and the Huntsman both released in 2012, and Disney’s 2016 Jungle Book with this October’s Warner Bros. coming release of Mowgli). In a plot fairly reminiscent of Hook (which was not a Disney creation), Christopher Robin is a grown-up who has lost his imagination, so enter CGI Pooh and friends to help him remember it. While the voices are so close to the cartoons you loved in the 60’s, somehow the CGI just doesn’t work as well. Kids will probably love it, grown-ups not so much, and not for lack of imagination. Winnie the Pooh was voted an icon of England, but you can see the original Winnie and friends at their permanent home at the New York Public Library here in the United States (Roo was lost in an apple orchard in 1930). It was quiet in the Children’s Room. The preschool crowd had gone home for lunch and the after school crowd had not yet arrived. As I wandered around, picking up books to reshelve, I spotted a copy of A Wrinkle in Time by Madeline L’Engle. 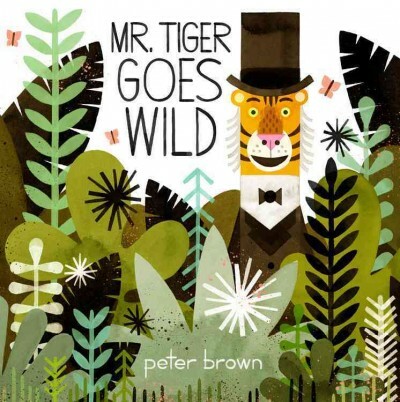 How I loved (and still love) that book! It was one of my favorite’s from childhood. I wanted to be Meg Murry and travel to other worlds. I still know the story by heart. This got me to thinking about the books my daughter loved as a child. Yes, A Wrinkle in Time was one, but she also loved The Enchanted Forest Chronicles by Patricia Wrede, featuring Cimorene, the princess who ran away to live with the dragons. Like my love for Meg, my daughter wanted to be Cimorene. When it came to historical fiction, I loved Laura Ingalls in the Little House on the Prairie series. My daughter also enjoyed the tales but had new heroines such as Patience Goodspeed (The Education of Patience Goodspeed) and Jacky Faber (Bloody Jack). Same thing for mysteries. Nancy Drew was my detective. My daughter had Enola Homes, Sherlock Holmes’s younger sister in the Enola Holmes mystery series. As I put A Wrinkle in Time back on the shelf, I wondered what my future grandchildren would be reading and who their favorites would be. I am often the first one into the library on Monday mornings. The lights are off and I have to walk through the darkened Children’s Room to get to the light switches. 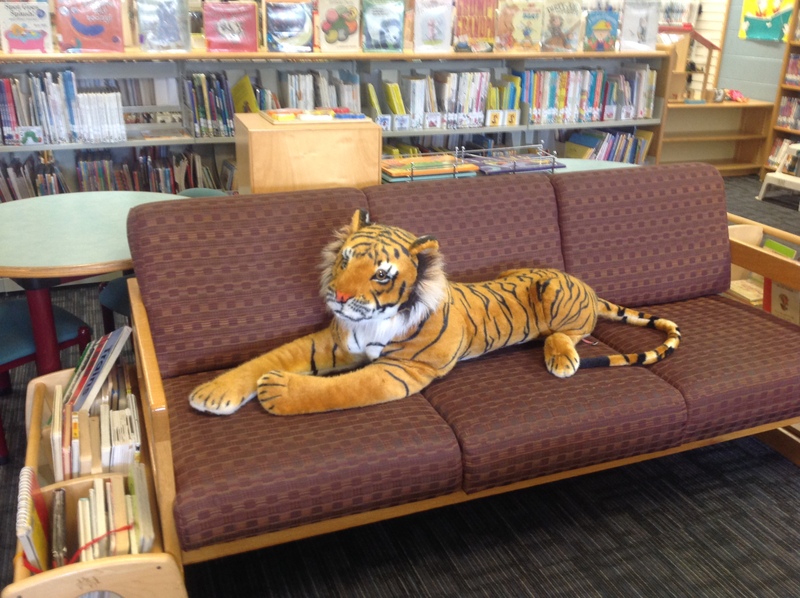 Normally, not a big deal, but lately… Well, there is a tiger in the library. It is quite startling to see him sitting there in the dark. He is often perched on one of the sofas, watching me as I enter the room. The first time I encountered him, I jumped because I had not expected to see him there. He did not even blink. He wanders all over the room. Sometimes he can be seen lounging in front of the picture book shelves. Other times, he will be sharing one of the two sofas in the room with the alligator. And once, I saw him hiding beneath the Lego table, as if waiting for prey, or, perhaps, getting out of the bright overhead lights. He is well-loved. He endures hugs and wrestling with equanimity. He hides inside the block forts that eager children build around him and he listens with attention as those same kids read him books. Often, I will see him at the back of a group of children, listening, as Mom or Dad reads a story. The kids snuggle in close during the exciting parts of the story and then pat him affectionately when it all turns out okay. For his part, he seems to enjoy both the stories and the pats. If you would like to see our tiger, he hangs out in the preschool area of our Children’s Room. Stop by and read him a story. He likes all kinds but is especially fond of books about tigers.